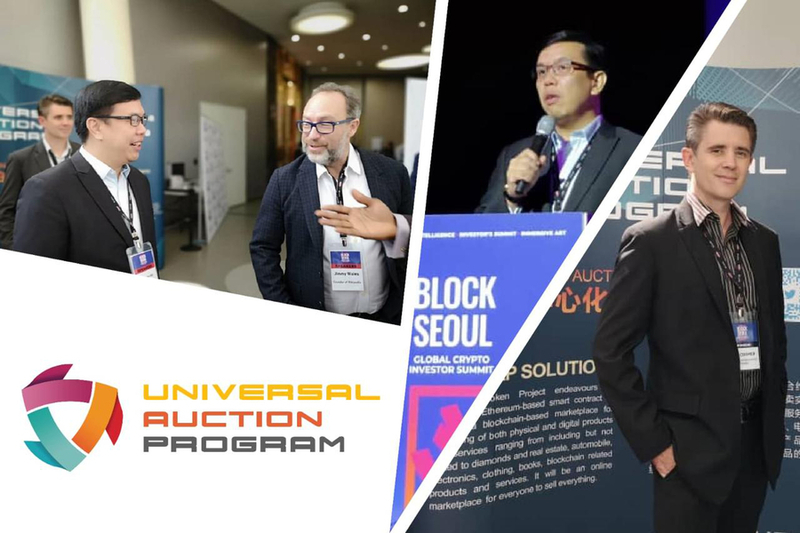 The Universal Auction Program dubbed as “UAP” with the cutting-edge blockchain technology has come up to rock the auction world unprecedentedly. The UAP tokens platform will not only curate the trading of digital and physical products in cryptocurrencies but it will also facilitate another segment which is isolated from the general market trading of high-value items and a preliminary listing will subject to the minimum value of $20,000 of the auctioned items. The platform is reliable due to the elimination of a middleman which enables the open and direct trading amongst clients and merchants. Why The Universal Auction Program Required? According to Forbes, “If transactions are decentralized, unscrupulous third parties won’t be able to alter the facts, figures or any data whatsoever.” The Universal Auction Program is grounded on the immutable practice of the ethereum blockchain. Undeniably, ethereum smart contract protocol based applications are protected against sabotaging, hacking and fraudulent activities because of the implementation of cryptography (security encryption). The brisk feature of the technology is able to surpass the traditional way of dealing. The high speed of ethereum network will aid the industry traders especially domains of insurance and real estate to conclude the settlement process in a smooth and agile mechanism. For instance, property buying process mostly engages the third party which results in long-drawn-out negotiations and unnecessary honorariums. The decentralized environment of ethereum smart contracts in this marketplace not only ensure the elimination of approvals from the third parties before procurement procedures but undesirable asset transfer costs will also be reduced to a fraction because of the ethereum network feature which also compensates participants for taking part in the transaction. The dominance of the cryptocurrency system is realized and appreciated by merchants of myriad market sectors because they apprehend the global freedom of exposure to list the goods and services which is powered by the ethereum blockchain based platform. The acceptance of UAP tokens and execution of ethereum based smart contracts network will foster quick processing deals and enable the organizations to improvise on reputation while demonstrating legitimacy, sincerity towards consumer and business without a hitch. Businesses can be operated remotely by paying through UAP tokens and its robust network will further end the cumbersome traveling, conferencing, and other miscellaneous overhead costs. With UAP platform peer to peer communication is doable along with security and convenience. The multiple and potential features of the project brings both the parties together which further helps the populace to converse, share implicit knowledge, and grow together. The spotlight characteristic of UAP is an amalgamation and integration of Smart Contract based blockchain technology with e-commerce which let the buyer and seller publicly transact with downright transparency. This is in fact what the world has been waiting for – a real way for e-commerce to seamlessly merge with cryptocurrency transactions. UAP is in the process of formulating and scheduling plans to associate with 6 major auction platforms to foster the transnational auction ecosystem for UAP token- a cryptocurrency which it will release in the following months. Sacotech, one of the pioneers and foremost adopter and shareholder is a notable and mounting online diamond auction platform. The value of diamonds as an investment is of significant interest from the deep pocketers to the general public, because they are expensive, stable, and secure investment gemstones that appreciate over time. The South African online auction house Sacotech, a global leader and a trailblazer in the Diamond Auction business has given a new shape to the diamond investment auction platform to match the customers' requirements. Founded in 2000 with an objective to provide the niche and independent auction price information to diamond professionals introduced an Online Diamond Trading Platform-SacoTech. in 2003 to facilitate the buyers and sellers of diamonds. Since then, it has expanded to support over 1,500 professional diamond auctioneers, who evaluate the quality and assess the worth of each item with secure handling. The arrangement of IT infrastructures for other auction houses like Capecasa – co-partner of SacotTech made the establishment a forerunner in its “Co-sharing model” initiative. The association of Universal Auction Program (UAP) and SacoTech is ready to hit the ground while integrating the Blockchain technology with e-commerce. UAP is confident to create an ecosystem that will encompass all the areas of an auction industry. Sacotech CEO Edward Norman commented "We want to be the first company in the industry to launch such a platform, and this year we achieved it," relayed further believingly, “Our Program has now penetrated the diamond-selling markets." Sacotech currently has a database all over Asia, including China, Japan, South Korea, South East Asia, together with various parts of Europe, and India. The major partners like jetviolet and render watch have also roped in to form a vigorous ecosystem for UAP.